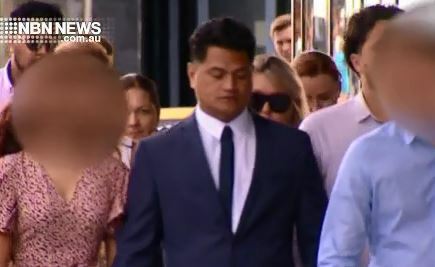 He was acquitted of dangerous driving occasioning death yesterday – now Port Stephens man Ene Eneliko will have to wait until Thursday to learn the outcome of a negligent driving charge. The 43-year-old was charged after his car struck and killed a 17-year-old girl, who was walking along Warrigal Road at Brandy Hill last year. Eneliko says he was blinded by the sun at the time. On Tuesday, there were tears of relief and anguish today, as a judge delivered his verdict in trial of a man, charged over a Hunter crash that killed a teenage girl. Ene Eneliko was found NOT guilty of dangerous driving – but will still face court tomorrow on a lesser charge, stemming from the accident.